It started with our sandwich shop “The Sandwich Box Cheltenham”, too small to make the minimum delivery of a local baker, to the quest to produce high quality locally sourced ingredients for our own artisan bread. Having honed skills in the labyrinth of the Georgian terrace, with the challenges that brings, we managed to produced bread that has taken awards at the Tiptree World Bread awards and many other awards using the bread for sandwiches. More recently Baker of the Year 2016 at the BIA Industry awards. 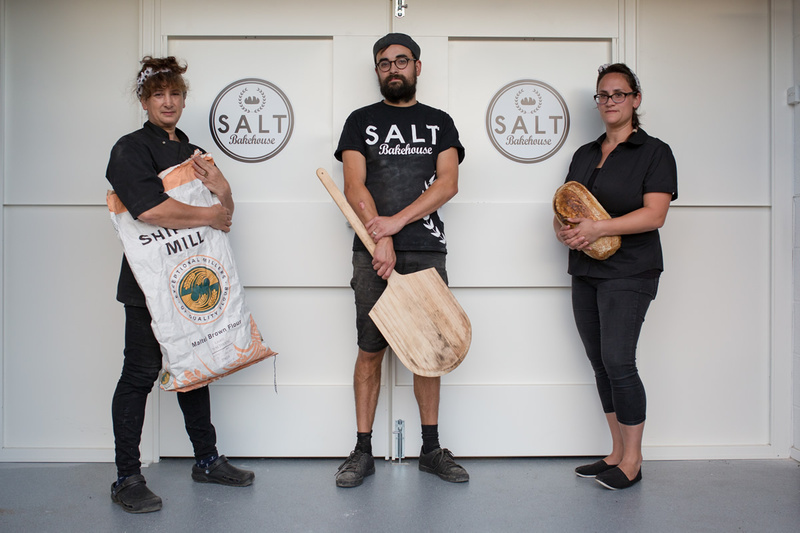 After the death of Rod, husband and dad we, Annette, Dominic and Anneliese have put Rods plans into reality and created SALT Bakehouse Ltd. We bake out of a unit in Stonehouse supplying pubs , restaurants and cafes. Mum Annette oversees the operation of the business with Anneliese's firm grip on the finance and Dominic all things baked including sales and new products. We have recruited a small but well formed team who share our vision for local high quality products Lloyd Purchas & Colin Fairbrother who joins us as our logistic leg, and comes with a wealth of enthusiasm. On the baking side Paul Richardson, Sophie DeNofrio gives our range an American influence having worked and eaten at the best Stateside. Yes and our new arrival is baker in training Mr Nick Brown.